Antequera in Andalucia has so much to offer, the wonderful old town, Alcazaba, Lovers Rock, the Dolmens, weird rocks in the nearby El Torcal Natural park and a lagoon home to flamingos, all make a visit worthwhile. 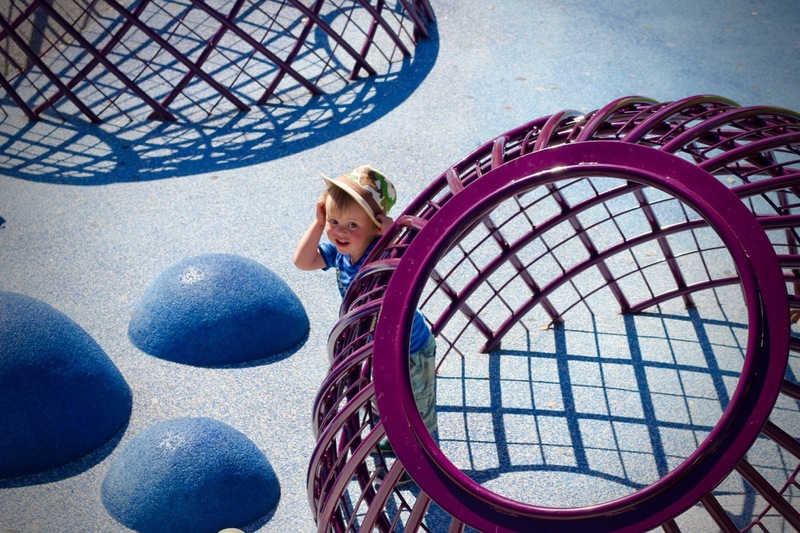 As a family with two young toddlers we also keep an eye out for decent playgrounds on our travels. Within the Gardens of Negrita is the Paseo Real. 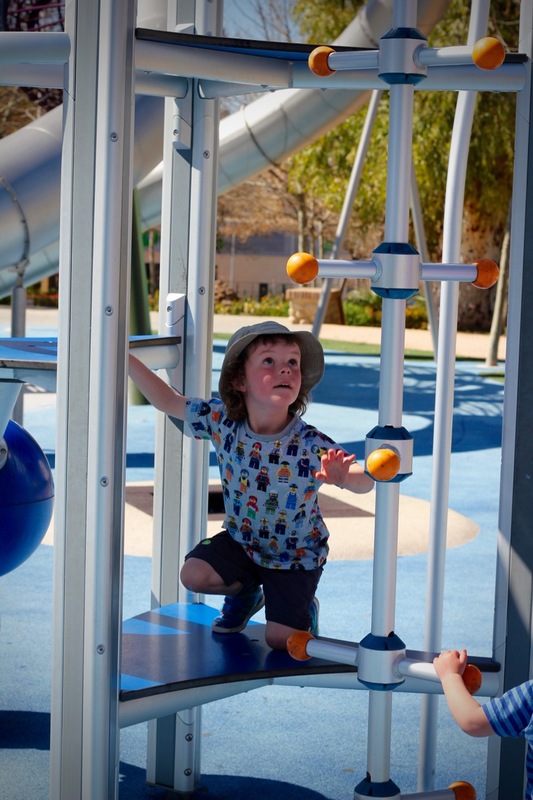 An area of the Paseo has been dedicated to a brilliant new playground. Chaos could see the towering slides from the other end of the gardens and was so excited that he ran the whole way to this spectacular looking play park, with his brother running after him. It’s amazing to watch the boy’s excitement as they tried to decide what to try first. This park has swings, boingers, slides, a zip wire, cages, see-saw, hobbit-esque mounds with bouldering, stepping stones, a wobbly bridge, trampoline….. We’ve seen them all before but not like this. 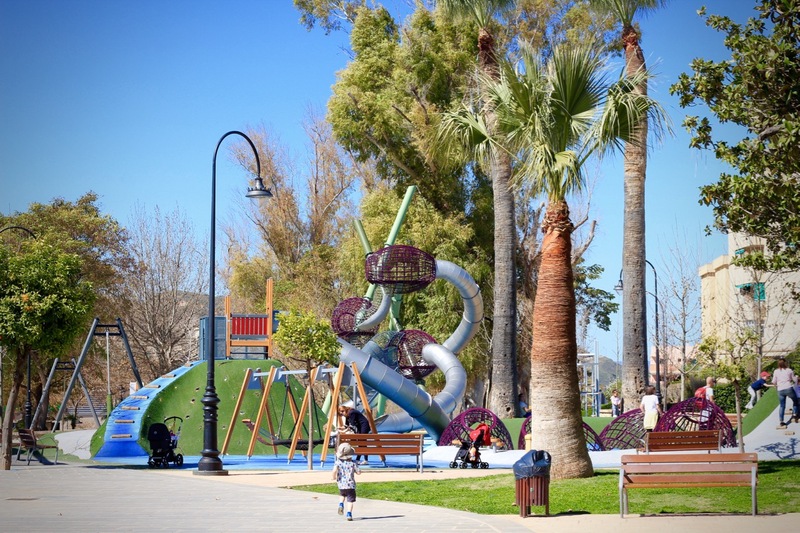 It turns out the park is aiming to be the best playground in Spain for smaller towns with less than 50,000 inhabitants. Antequera believe that a park like this can have an impact on the welfare of the town’s inhabitants and their society as a whole. 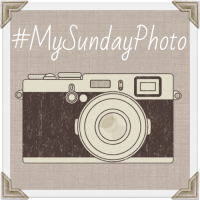 It definitely had an impact on our boys, they loved it and we did too, at one point all four of us were linked together hurtling down the inside of the highest slide, great fun, great park and definitely the best park in Spain we have been to…so far! The kids loved it, yay! That looks like a fantastic place to play – that last piece of equipment looks amazing! The slide is amazing, pretty fast! That is amazing! I’d never get Freya off there – and I’d probably have to clamber in to try and retrieve her and get stuck. Hehe. Ha ha, it did bring out the child within! 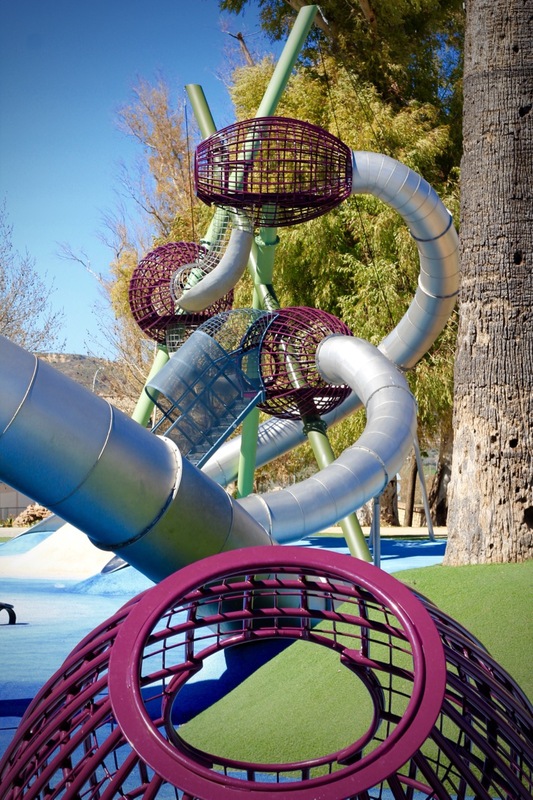 This playground looks amazing – so much fun!! Thank you, yes there are so many amazing parks here, but this is definitely the best for have seen…yet. If only we could get something like this over here in Ireland… My kids would LOVE it! Fantastic place! Thank you, the boys cried when we said it was time to leave, they loved it too! We will have to go back soon the kids loved it. Thanks for hosting and commenting!